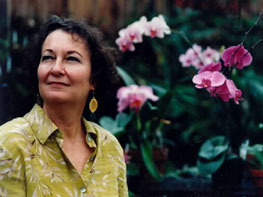 Although she grew up in Montana, Marjorie Smith spent her "formative years" (age 21 - 28) in the Western Pacific, living in Guam and Saipan where she worked as a newspaper and radio news reporter, a television newscaster and interviewer, and as a public information specialist for the government of the Trust Territory of the Pacific Islands. It was then that she first became fascinated with the 1937 disappearance of Amelia Earhart and with the hold the mystery has had for decades on the imaginations of people around the world. Returning to the U.S. mainland, Marjorie spent four years in San Francisco working as a secretary and an editorial assistant and then, on a dare, took the written and oral examinations to become a U.S. foreign service information officer. She spent over eight years in the diplomatic corps, learning Thai and Japanese languages and working as a cultural affairs officer in Bangkok, Yokohama, and Sapporo. Alarmed by a proposal in the Reagan administration to require any government employee with a security clearance to submit manuscripts on any subject for government clearance before publication -- something that would have applied for the rest of the employee's life, had it been instituted--Marjorie resigned from the foreign service and returned home to Bozeman, MT, to try to make a living as a freelance writer. She has written an award-winning opinion column for the Bozeman Daily Chronicle for 17 years and has sold articles to a wide variety of publications. She supplemented her writing income working as a high school drama director, a teacher of Japanese, a typesetter, and an editor for the Montana State University Extension Service. When not writing or editing, she plays accordion with a band called The Awesome Polka Babes, is a member of the Montana State University Balinese percussion ensemble, and is associate producer for a small theater company for which she also acts and designs sound. She has a grown daughter who lives in Austin, Texas, and who is embarrassed about much of the preceding sentence, especially the accordion.